With Easter on the horizon, I’ve been planning out my holiday menu. 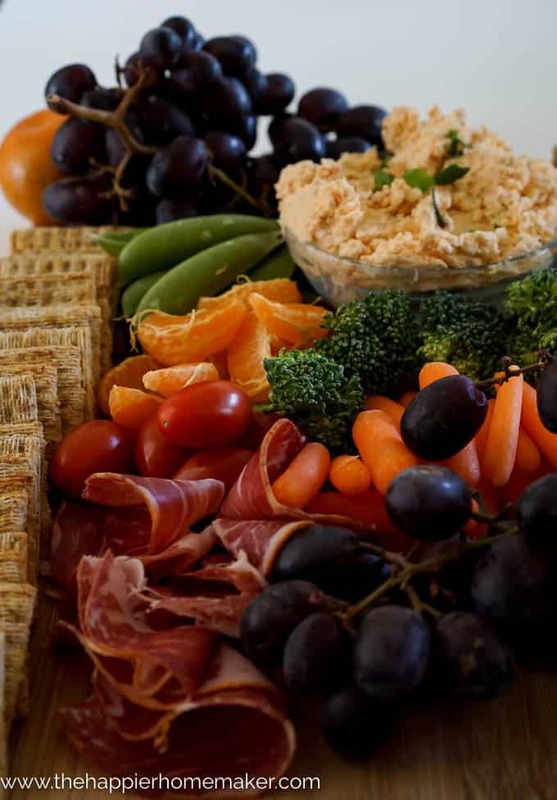 I love to keep Easter dinner itself pretty simple-ham and veggies-but make the finger foods and appetizers the star of the show. 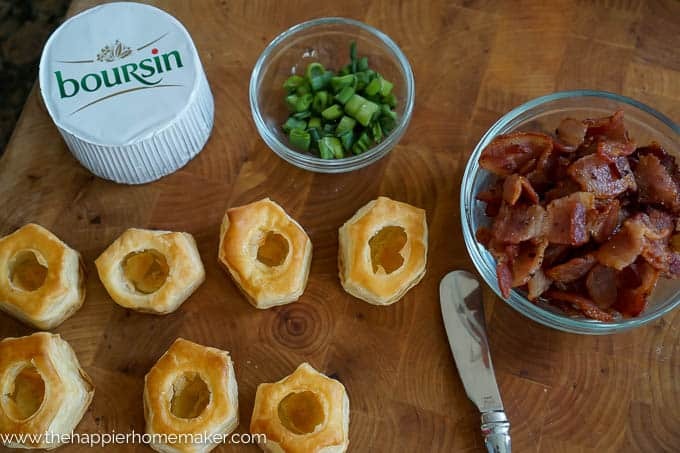 These Boursin and Bacon Stuffed Puff Pastries are deceptively easy to make and scream sophistication. No one will be the wiser that you didn’t spend hours in the kitchen to make them! 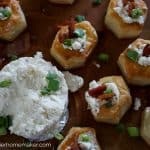 The puff pastries are deceptively easy to make and no one will believe they are only 5 ingredients! 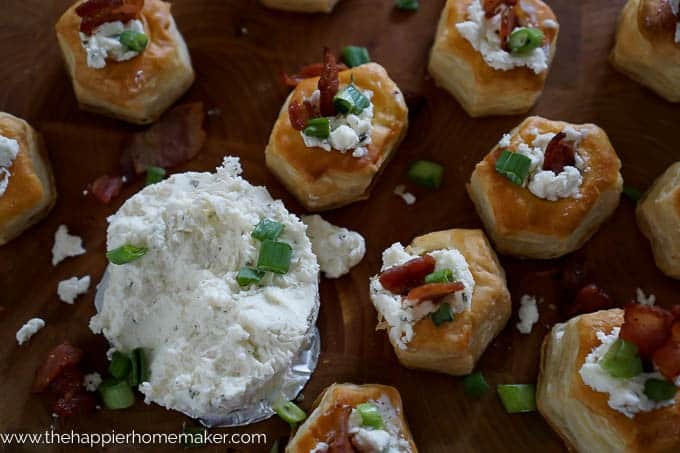 These Boursin and Bacon Puff Pastries are an elegant appetizer that is deceptively simple to make! While oven is preheating brown chopped bacon in a large skillet over medium-high heat. Cook until just beginning to crisp. Drain and set aside to cool. Lay puff pastries on a baking dish as directed on the box. 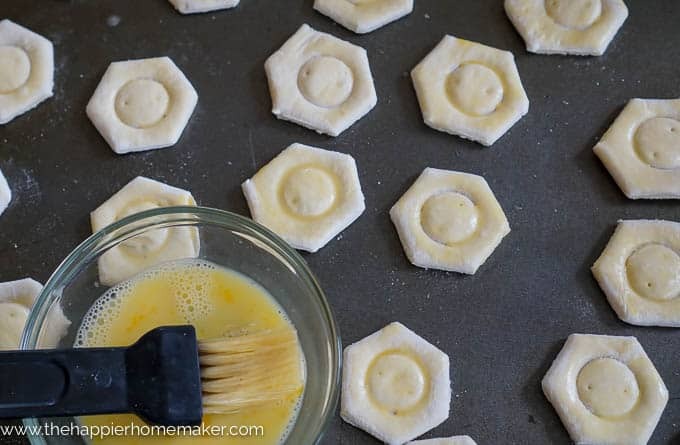 Mix egg and 1 tbsp water and brush sparingly over pastries with a pastry brush. Remove from oven and use the handle end of a wooden spoon to push in the middle section of the cups. Allow to cool 10 minutes. 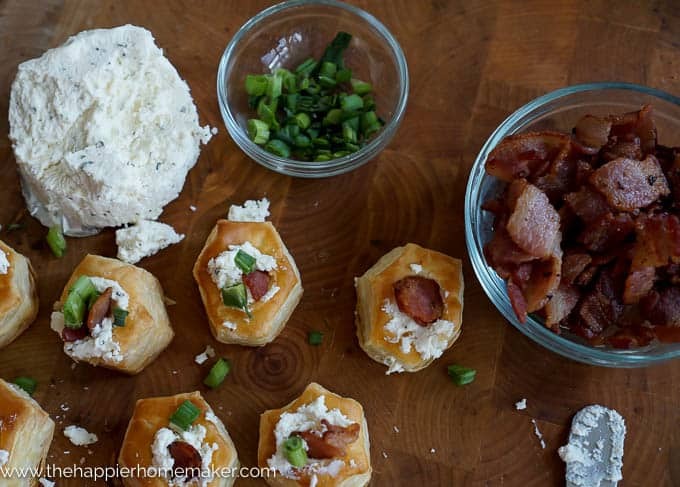 Fill each pastry cup with Boursin cheese and top with bacon and green onion. 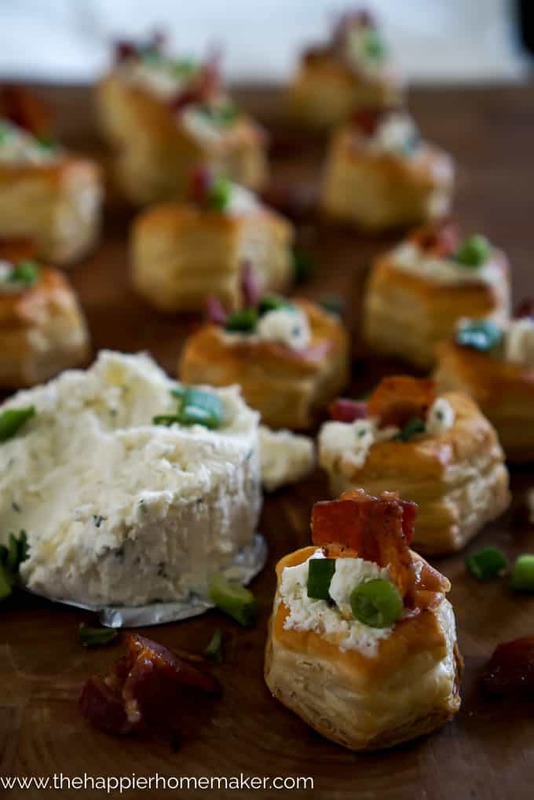 Taking a few seconds to be intentional adding the bacon and green onion makes these appetizers really look foodie-worthy! 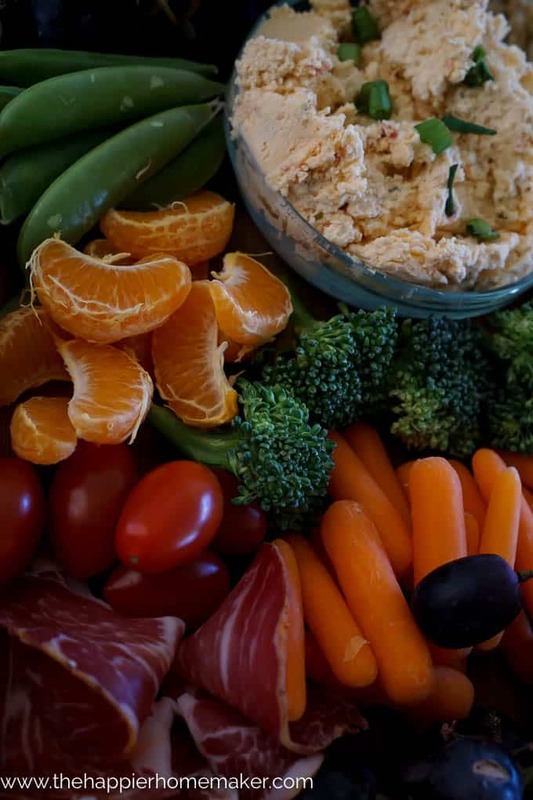 Since you spent a little time and effort making the puff pastries scale back on the rest of your appetizers by putting together an easy and attractive appetizer tray! So pretty and incredibly easy right? I love how colorful it is-it invites people to dive right in! yum!! thank you for this!